In 1994 when we first went to Romania, we lived over an Italian pizzeria owned by Also from Italy. He often joked how strange the world was that an American and Italian would be speaking to each other in the Romanian Language. Little did we know that this was a sign of things to come. We had not traveled much in the almost 20 years we spent in Constanta, but in the winter of 2013 I had an opportunity to go to Italy and speak in three Romanian churches. I was amazed at how many Romanian are in Italy. I could hear people speaking Romanian almost every where I went. I don’t have any official numbers but some people have told me that there are close to a million Romanians living and working in Italy. 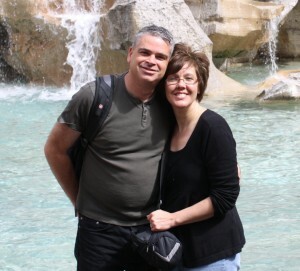 Though we are going back to Romania and we will be living in Buzau, we will still be able to travel to Italy and be involved helping to train the Romanians and helping the churches grow.